Sleek Bandari put up a dizzying display to outclass Muhoroni Youth 4-1 in the GOtv semi-fianl match at the Nyayo National Stadium to storm to the final. The match had been in uncertainty with Bandari sticking to their guns not to travel to Kisumu for the fixture forcing Muhoroni to travel late to the capital for the match and the outcome was telling. Creative midfielder David King’atua bagged a brace while Mohammed Sheriff and Musa Mudde were also on target. Edmond Murai pulled a late consolation for Muhoroni in stoppage time but it was too little too late. 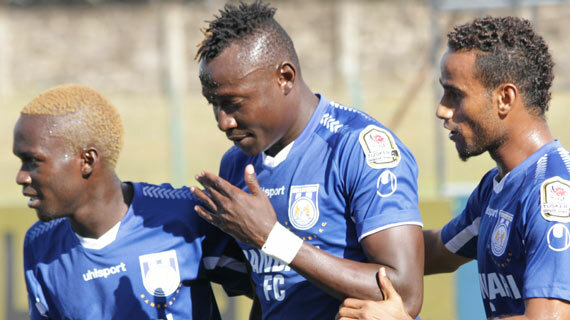 Bandari dominated the contest from kick off to the last blow of the whistle and will now await to know their rivals. Gor will confront Police in the quarters with winners facing Nakumatt in the semi-final from where the winners will earn a berth to face Bandari.